After the marathon I always take about a week off from running and I really needed it this time. I don’t know if it was the hills, cold rain or wind but this was the hardest recovery I have had after a marathon. My quads and hamstrings were so sore. I hated stairs for 2 days, but by Wednesday was doing better and I ran a slow 3 miles on Thursday. On Friday night my husband and I went to Jack’s Grill in Issaquah. We had heard good things about this small, neighborhood steak house, but hadn’t tried it yet. 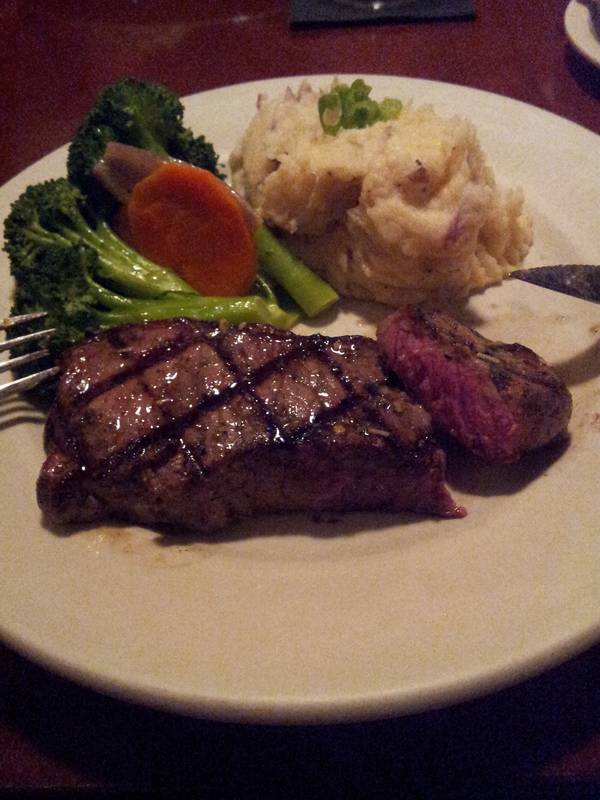 I had the New York strip, with garlic mashed potatoes and mixed veggies. The steak was cooked perfectly and was very tasty. The meal also came with a green salad, which was a plate of lettuce, very uneventful. It is very casual but the steaks are very good. We will go back. My daughter, Emily came home from college on Thursday. She has been at UMASS this year. She did really well there, but I think the distance was a bit much. She is transferring to Western in the fall. I will be glad to have her a car ride away instead of a plane ride. 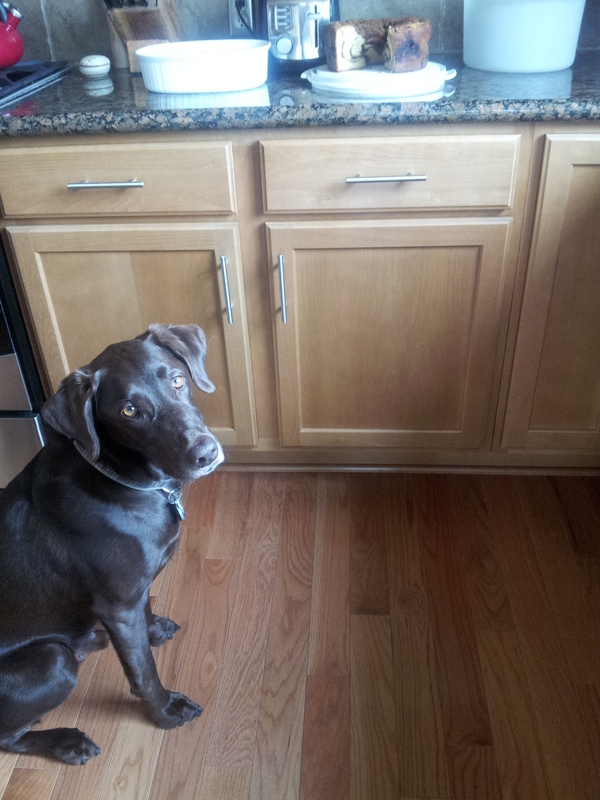 Jameson guarding Emily’s welcome home treats. I’m thinking about talking to a running coach. I got a few recommendations when I posted on the Eastside Runner’s facebook page. I want to do well in Chicago. It’s marathon number 6. I have used the same training plan for the past 4 marathons and think I need to change it up. Have you ever hired a coach for anything? This entry was posted in Uncategorized and tagged Jack's Grill, Marathon Training, Running coach. Bookmark the permalink.